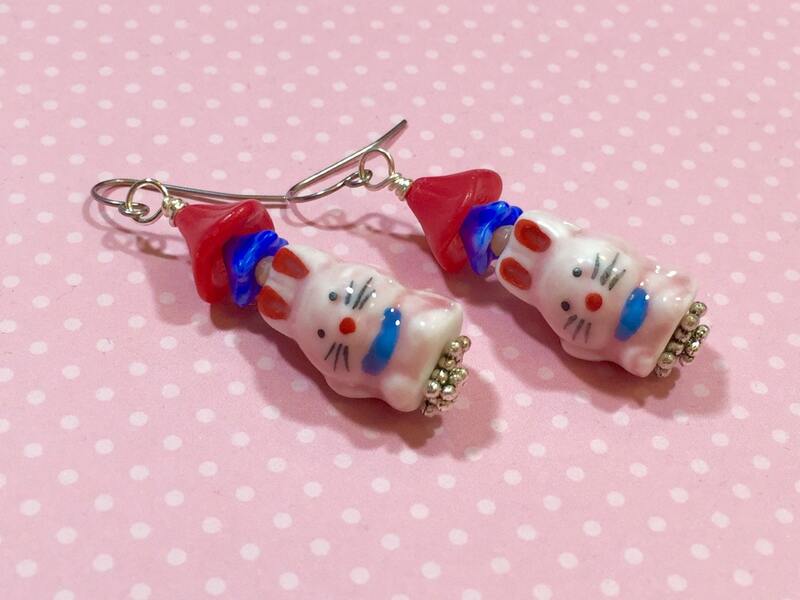 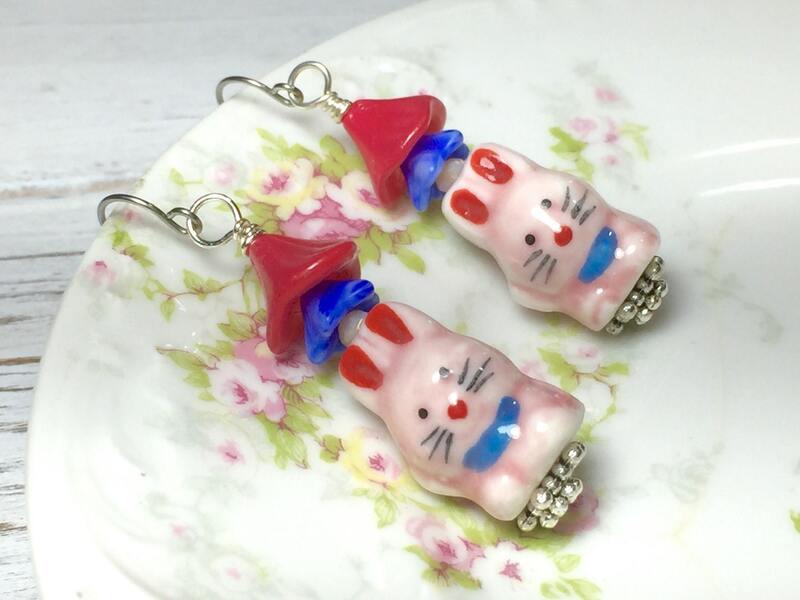 I made these delightfully kawaii bunny rabbit earrings with the Easter holiday in mind, but Spring or any time of the year will do for jewelry this darling. 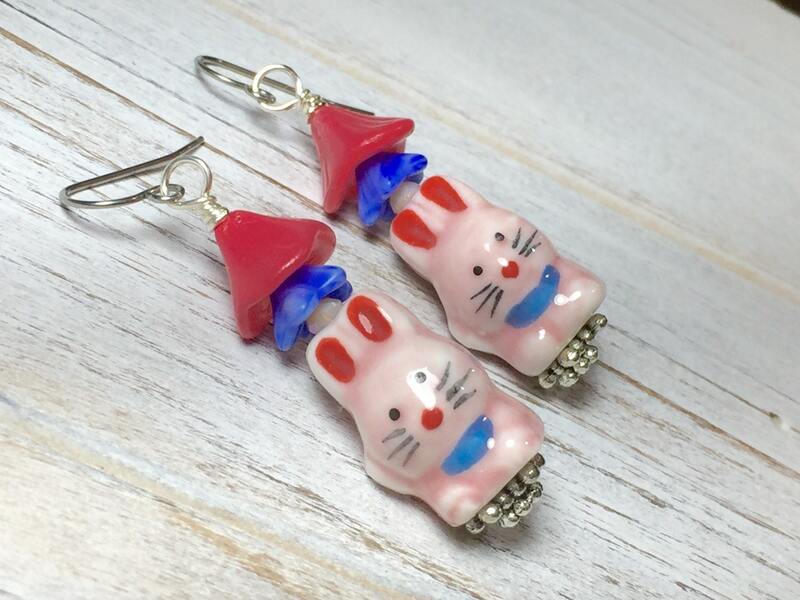 I used pink painted porcelain rabbit beads, red czech glass flower beads, blue czech glass flower beads, Tibetan silver findings, sparkling pink faceted glass beads, and surgical steel ear wires. 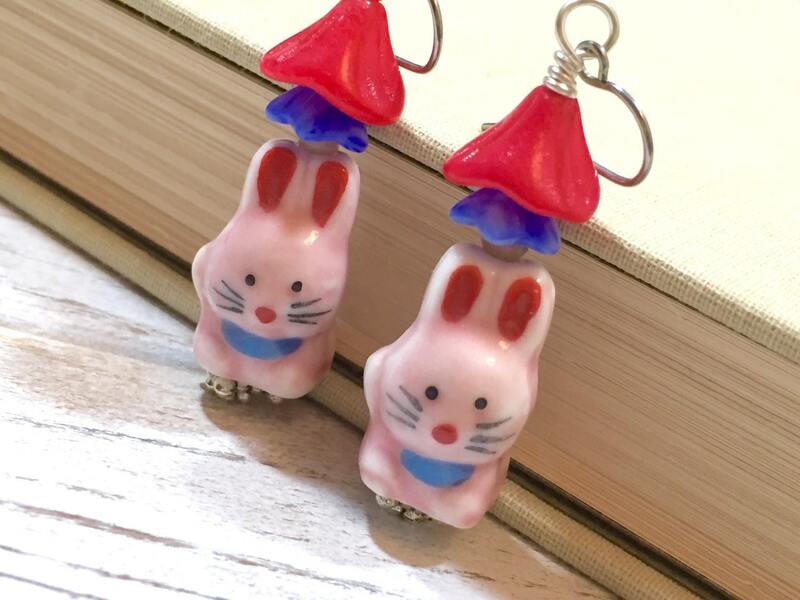 These dangle just under two inches (5 cm) from the top to the bottom.